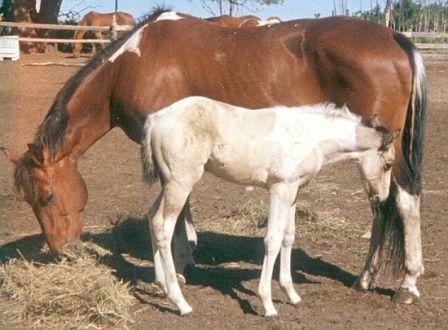 Skips Morning Star (Star) was a 1982 bay tobiano mare by Skippers Dude by the Skipper W grandson, Skip Hi. Star was out of Osage Folly (a buckskin AQHA) by Little Bug Tyree, a buckskin AQHA son of AQHA Champion, Honor Roll Performance Horse and Superior Halter Horse, Harlan’s Tyree. Star was used for lessons, trail riding, gymkhana, walk-trot pleasure and team penning. 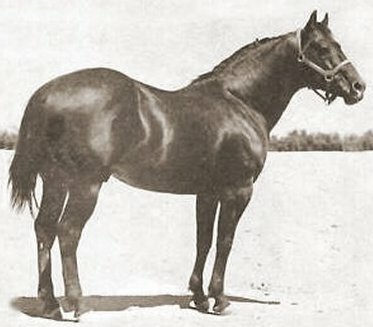 She also was an excellent broodmare that consistently produced athletic foals with level heads and the desire to please. She is greatly missed by our family and friends but her legacy lives on in her babies and grandbabies. Her 1999 APHA/PtHA buckskin tobiano, Dottie is in our broodmare band. Check her out on our mares page. Her sire, Skippers Dude was a 1964 sorrel tobiano APHA stallion that was bred by Larry Wiescamp. He was a producer of APHA Champions, World Champions, Reserve World Champions and National Champions. Her grandsire, Skip Hi was a foundation 1959 sorrel tobiano APHA stallion that was bred by the legendary Hank J. Wiescamp and owned by Hank's son, Larry. Even though Skip Hi was not shown much himself, he was considered to be a producer of foals that were better than he was. 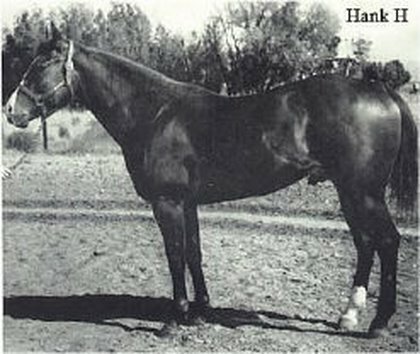 Skip Hi was an APHA Champion sire, a National Champion sire and a Producer of Superior Champions and Champion daughters. 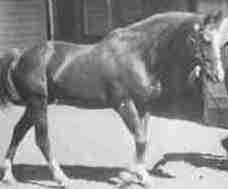 Skip Hi was the eighth horse to be registered with the American Paint Horse Association.